It’s March 14. Students and teachers around campus are wearing tie-dye shirts from the Whitney Grummon’smemorial concert put on by the Singer-Songwriters’ Guild, and they’re doing so for a reason: It’s the one year anniversary of students hearing that their teacher had died. A little over one year ago, on the evening of March 13, CHS Principal Rick Lopez got word that the Connecticut native and CHS teacher had passed, news that would soon pour through the community. Room 21, which once served as a melting pot for students and teachers, instantly became a shrine surrounded by notes, pictures of Whitney, flowers and artwork. One year later, students and teachers remain affected by Grummon’s touch. 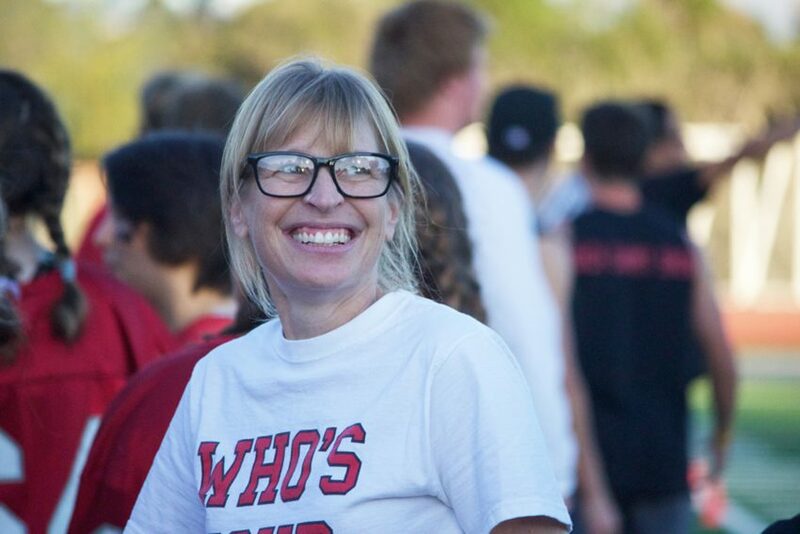 Looking back, English teacher Barbara Steinberg, who stepped in for Grummon to teach her AP Language and Composition course after her passing, recalls what she was doing when she found out about the loss of her co-worker and close friend of many years. Students’ utter stupor added to the sadness on campus, since only three weeks prior Grummon’s notion was that she had mono. Buraglio reflects on the fact that March14, the day after Grummon passed, happened to be the same day that hundreds of students walked out in protest of gun violence, something the teacher would have loved to see. Grummon’s views on gun control, immigration and American politics were known, one of many reasons why that walkout wasunofficially dedicated to her. Ermalyn Dinkle, another student who’s been motivated to change the community after Grummon’s passing, mentions her own efforts to help the homeless in Monterey County. “She’s fueled my growing compassion for the homeless community for Monterey and is the reason I started my homeless care packages that I pass out to the homeless instead of money,” Dinkle explains. Following her passing, the school turned into a place for memoriam. The teacher’s favorite band, The Grateful Dead, rang through classrooms across campus, and dozens of students began writing poems and articles to memorialize her. Studentshaven’t stopped since: The first “Concert for Whitney” was performed March 15, with all proceeds going toward the Whitney Grummon Foundation. The spirit of Grummon is still alive inside many students and teachers today. Senior Kelly Wong, who helped aid in organizing the concert that attracted hundreds of students, has done much to immortalize the legacy of Whitney Grummon. Whitney Grummon’s excellence wasn’t just in the field of academic success—her attitude toward students was that of a role model who wanted students to ensure their opinions were heard. Keeping a positive attitude is one of the most common responses from students when remembering how Grummon has changed them. Gianluca Douros, who now attends San Diego State University, cites that it would be impossible to describe the way Whitney Grummon motivated him in a single article.